Stay glued to your board with only one foot strapped in! Made with the highest grade adhesives that are specifically designed to function in snowboarding conditions, this stomp will stay firmly in place on your board and keep you in control while getting off lifts or even when boosting huge one footed airs! Also featuring a scraper in the center of the mat, days of snow caked to the bottom of your boots are gone. Ride rear entry bindings like flow or Gnu? The built in scraper will be your new best friend. As always, Grayne uses Crystal Tech in this stomp. After all, you love the way your board looks, you shouldn't have a stomp pad that blocks your graphic! 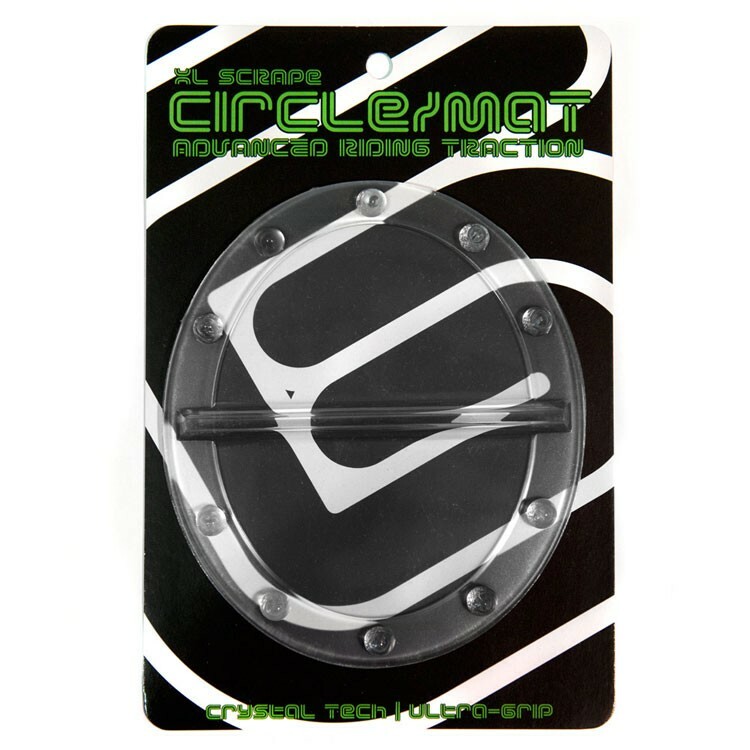 Stay in control of your board this winter with the Grayne Circle Stomp Pad!